Add brilliant sparkle and shine to arts and craft projects, scrapbooking, holiday or birthday decorations or to decorate school or science fair projects. 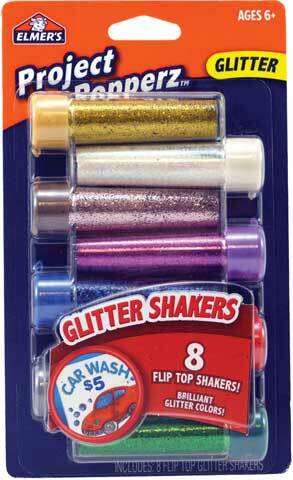 This set includes eight flip-top glitter shakers in gold, opalescent, pink, purple, blue, red, silver and green. The glitter is also great for designing 3-D glittering effects on surfaces. For ages 6 and up.